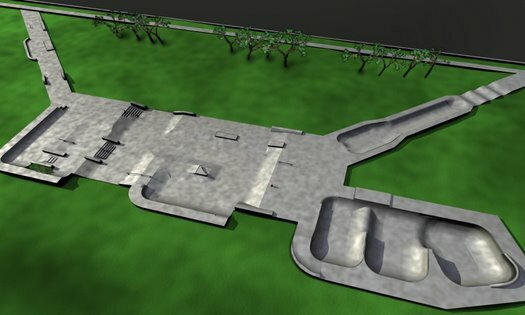 To build the Leduc Skatepark I was contracted by Spectrum Skatepark Creations to do the skatepark design. I cam up with a few designs. With Jim's approval on a design. I was whisked away on a plane from Vancouver to Edmonton to do the design workshop with the local skaters. It was a pretty cool experience and I would love to do more of that type of work. After doing that fun part of the skatepark design process I was also involved and doing some technical stuff too. All told I was involved in several parts of this project. Spectrum and the architects once again pulled a great park out. - I created design ideas package with photos and video. Collaborating with Spectrum Skateparks. - I got on a plane one day to lead a design workshop with the Leduc area skaters. - Designed a three section multilevel bowl with oververt and many many fast lines. That included most of the technical drawing work. I made the blue prints for the entire design. The overall park was altered a bit after I was done my work. I guess the budget didn't allow for some features. The bowl and the street path were the most important features and they were kept. 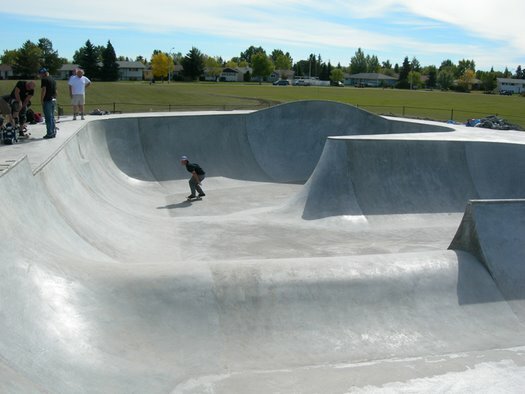 I would love to get out the Edmonton and skate this park. Maybe one day I will. I look forward to a cross Canada trip stopping at many of the skateparks I have been involved in.